​​ PLANO – BSR Trust LLC closed on its biggest real estate deal yet in Texas. 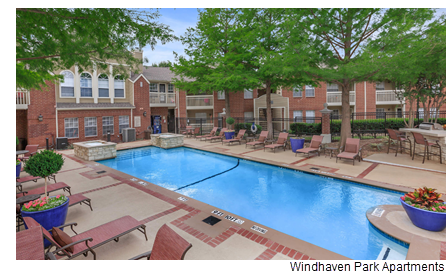 It has made a $45 million acquisition of the Windhaven Park Apartments, a 474-unit apartment community close to Toyota North America in Plano. The 22-acre garden-style community at 6201 Windhaven Pkwy. is also the largest single community in BSR Trust's entire portfolio. BSR Trust executives said the community's proximity to some of the region's largest employers made it a particular attractive property to acquire. ​See also​: Dallas-Fort Worth-Arlington Multifamily Market Research.